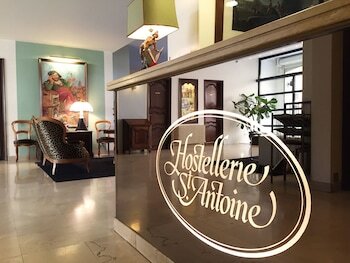 When you stay at Hostellerie Saint-Antoine in Albi, you'll be connected to a shopping center, within a 15-minute walk of Toulouse-Lautrec Museum and Albi Cathedral. Featured amenities include a business center, complimentary newspapers in the lobby, and a 24-hour front desk. Self parking (subject to charges) is available onsite. With a stay at this apartment, you'll be centrally located in Nantes, within a 10-minute drive of Jules Verne Museum and Passage Pommeraye. Free self parking is available onsite.